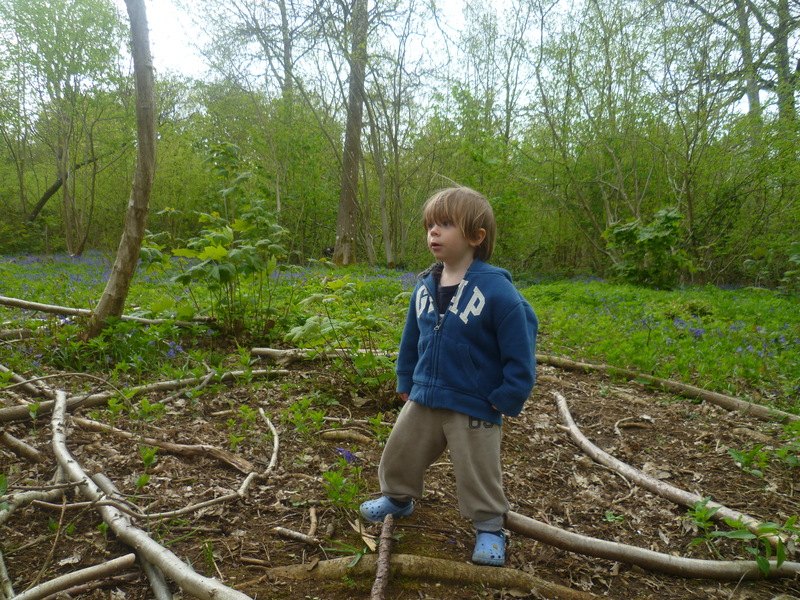 Off-grid parenting is a term I coined to describe a style of unconventional parenting which seeks to embrace the wild spirit in the child by immersing them in nature, recognising their innate intelligence and fostering autonomous, respectful relationships. Off-grid parents adopt a natural, sustainable, and intuitive approach to all aspects of child rearing. Off-grid parents step outside the system when it comes to their children’s health care and education and opt for alternative health care as well as alternative education such as unschooling. Off-grid parents don’t vaccinate or medicate their children routinely using artificial drugs and medicines but may use fasting, food, herbs and other alternative forms of medicine. Off-grid mums oftern choose to manage their pregnancy independently of a doctor and usually birth outside of the conventional hospital system. Conventional parenting practices such as baby sleep training and cry-it-out method as well as punitive (authoritarian) discipline are shunned in favour of attachment parenting and child-led methods such as co-sleeping, on-demand, full-term breastfeeding and positive discipline. Off-grid parenting should not be confused with permissive parenting. Off-grid parents do not adhere to a ‘one diet fits all’ philosophy but do seek to eat whole, natural and ethically produced foods to maintain good health. Coming soon…off-grid parenting documentary, watch this space! Forget Brexit: Ten reasons why British mums want to exit the UK. 1. Stay-at-home mums in the UK are now being denied any state pension if they haven’t worked at least ten years and a reduced pension if they haven’t worked at least 35 years in the work force. This kind of system that does not recognise the value of carers, encouraging parents to have fewer children, with smaller age gaps between siblings which can be restrictive and stressful for the whole family unit. 2. Due to mothers at home not being recognised as contributing to society, Britain has an unfair family taxation system which penalises those who earn only one family income. 3. Single mums reliant on benefits are now being forced back into work as soon as their child reaches three years old, before they are lawfully expected to be in full-time education. These moms are supposed to do the work of two parents plus that of the bread winner, an unfair expectation. 4. Government will not provide help with childcare unless it is an Ofsted recognised educational setting. This setup fails to recognise that not all kids are suited to such environments and need home-based parental or relation care. 5. 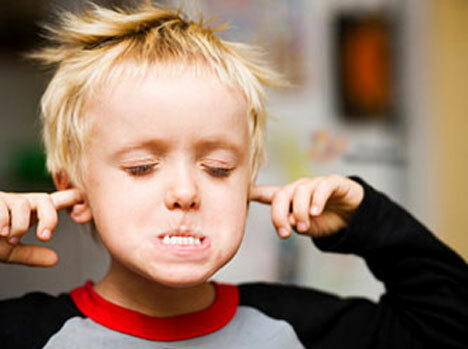 UK kids rank amongst the unhappiest in the world and are the unhappiest in Europe. The Children’s Society report, which looked at 15 diverse countries, ranked England 14th for life satisfaction of its young people, ahead of South Korea. 6. Brexit has won the EU referendum and with Britain coming out of Europe this means the citizens are likely to become isolated from other cultures as freedom of movement of the people is compromised, with an increase in racism and xenophobia. Britain leaving the EU means our kids may have restricted freedoms when it comes to travelling, working and living abroad. 7. The government wants to institutionalise our kids younger and younger, robbing them of their right to a playful childhood. The education system is failing more and more children, especially boys and those with special educational needs. As a result more and more families are turning to home education but this option is made tough for many as home educated kids are not financially supported in any way, even though these parents still have to contribute into the tax system. 8. The United Nations has recognised that the UK Government is not putting children at the heart of its policies or as Native Americans put it, ‘at the centre of the fire’. Children are seen as an economic inconvenience in society. 9. Austerity measures have created a huge increase in children living in poverty, 1 in 4 British children are now living in poverty according to the child poverty action group. This is an unacceptable standard for a so-called ‘developed’ country. 10. According to a survey by ‘dirt is good’ campaign by Persil, 3/4 of all children in the UK are now spending less time outdoors than the average prison inmate (At least one hour). This is likely due to lack of green spaces, extortionate rents; contributing towards a lack of garden space and increased sardine-style living conditions. In 2013 the RSPB published a three-year study, which concluded that four out of five children in the UK were not adequately “connected to nature”. So while the political world gets anxious about the state of immigration, British mums turn their thoughts to the option of emigration. We are asking ourselves how can mums like us stay in this situation and do we want our children to be raised in a society that is more distracted by worldly capitalist gains than the welfare of future generations? Maybe it’s change that’s needed, change of awareness, perception and policies that promote family values and community growth. Toddler myths busted by a gentle parenting guru…. Education is something I excelled at both as a young child and into my early adult years. I was one of those students who never had to study very hard to pull the good grades out of the bag. Why then having been through the school system myself would I choose not to do the same for my children? I believe learning is so much more more than just academics and exams. Despite doing well at school, having suffered from bullying and stifled creativity I feel my younger years could have been spent much more wisely had I had the freedom to explore my own potential rather than being pigeon holed into a structured and categorised learning system which is, on the most part, disconnected from nature and life itself. 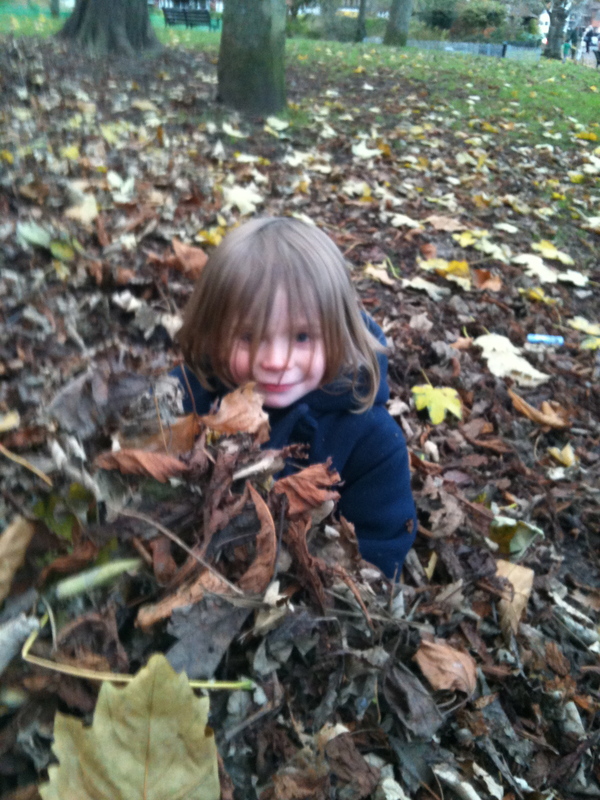 Now my oldest child is nearing on six years old I am often asked that question, ‘What school does he go to?’ When I reply I am reluctant to use the word ‘unschooling’ as people have a hard enough time getting their heads around home schooling. Nevertheless I attempt to explain the natural learning path I have chosen to walk down with my son and the questions go a little something like this, in no particular order…. How will he learn social skills and socialise with other kids? How will he learn the three R’s? What will you do if he wants to go to school/college/university or take exams? How will you keep him busy? How will he get a rounded knowledge of all areas and what if there is something you don’t know how to teach him? Isn’t the full time, stay at home educating role only for those parents who can afford it? Perhaps the best way to describe unschooling is to to define how it is different from home schooling. Unschoooling is very much a child-led approach, and this does not necessarily mean never directing or guiding your child into a structured activity or group, far from it, unschooling parents tend to make a great effort to facilitate their kids getting out and about regularly. Children are natural explorers and have an innate desire to learn whatever captures their interest. Home schooling is much like transferring a set curriculum taught in a school from classroom to the home. Unschooling on the other hand (also a sub category of home education) involves taking a child’s lead in their current interests and providing them with the resources and opportunities to discover more about that theme/topic for themselves. This capitalises on the fact that children, and in fact all ages learn best and most efficiently when they are engaged fully with interest in what they are discovering. Like the public school system, home schooling can often employ rigid, scheduled and ‘age appropriate learning targets,’ whereas unschooling treats a child as having unlimited potential and possibilities and gives them a flexible and unstructured way to learn within their capabilities and without pressure. Maths as they go shopping. Literacy as they read books from a library and language as they communicate with friends or loved ones in a letter or electronically. Science as they explore nature and animals. Rock pooling, farm visits, cooking, wild food foraging and camping are all great opportunities. History as they visit museums and explore sites of interest such as castles and roman ruins. Music from going to festivals or observing a talented relative or friend play their instrument. Religious education as they mix with people from different faiths in groups. Design and technology through free play with different materials and access to computers. Physical education through regular activities such as swimming, tennis, yoga and football in the community. Furthermore with the advent of the world wide web as a self-directed, educational resource, no question will remain unanswered. So now back to those common concerns and questions often asked of the unschooling family. Socialising: A child is far more likely to connect to people and learn social skills in a setting where they feel at ease and where they enjoy spending their time. Whether it be at the park, in a group with a shared interest or simply visiting other young family members or friends, there is a big world outside your front door that is difficult not to interact with. It interesting to note that children of the same age rarely socialise well together (as found in the usual classroom setup), they actually learn far more social skills and indeed other skills from older children in mixed age settings who are able to demonstrate their next stage of development. Also having the opportunity for older kids to interact with younger children helps them develop their nurturing qualities and important virtues such as patience. Reading, writing and arithmetic: Words and numbers are found everywhere you go, not just in a classroom. Many children, especially boys are not mentally ready for formal or structured learning and trying to teach them this way can, and often does, set their comprehension back rather than if they were allowed to pick these skills up naturally at their own pace. Some examples of how a child is exposed to numeracy and language in daily life include: road signs, posters in a shop, watching films, reading menus in a cafe and working out transport timetables. Gaining qualifications: Exams and structured schooling are not one and the same thing. At any time your child can, having never attended a school, choose to enrol for any number of exams they feel they wish to gain in order to further their future career path. Keeping busy: The problem with keeping balance for our children in the modern world is not so much under-stimulation as it is over-stimulation. Too often parents and children do not spend any quality time and get to really know each other due to hectic, over scheduled timetables and time pressures. When you dedicate time to the unschooling lifestyle, life takes a natural rhythm and balance. Too often in trying to make kids achieve everything to survive in the corporate and consumerist world, we forget to teach them the basic skills of self-sufficiency. Such skills can be gained through simply helping with household chores, learning to cook, looking after pets, growing your own food and taking part in everyday life. Another valuable life skill not taught in schools, meditation, also develops a spiritual awareness so they can learn to balance themselves during times of stress. All too often schools neglect these vital areas of education. The main focus in unschooling is unstructured learning although, structured learning can also play a part should a child wish to master a certain skill. For example, a music class or gymnastics club. To keep learning opportunities ever present sometimes it requires thinking outside the box such as engaging in volunteering opportunities. You can also set up a kid-share scheme with other fellow home educators to help parents gain some extra ‘me’ time. As long as you you look hard enough you will always find a way. Mentors and general knowledge: It doesn’t take a rocket scientist to teach magnetism and how plants grow. Most parents can read, write and count and therefore have the ability to be a learning facilitator for their own child. When the time comes that your child expresses an interest in a topic you have little knowledge of then it may be time to draw upon other people as mentors for your child; friends, relatives and professionals in that area can all engage with your child to help them learn more. For older children the internet provides such a vast array of learning resources much like a virtual classroom. It has been said that ‘it is better to be a jack of all trades than a master of none’ if however, you look at earning potential in society is it not the ‘master of one trade’ who achieves the most success? Perhaps we should concentrate less on children obtaining a good general knowledge but rather help them find what they excel and are passionate in and follow this to it’s greatest potential. Money matters: Choosing to be a full time parent and learning facilitator for your children is a choice, not a luxury. In a society that requires both parents to work full time to keep up with the Jones’s, sacrifices have to be made and it’s not easy. To bypass relying on paid activities, we get creative. A typical week for us involves dog walking, a home educators (informal forest group) meet-up in the woods, watching YouTube documentaries, trips to the park, visiting friends, gardening, growing and cooking food, trips to the beach, library, free museums and local festivals. A garden is an absolute necessity for us and we sacrifice the size of our property and number of bedrooms to ensure we have access to outdoor space at all times. With money to spare unschooling can be made a little easier for example, taking advantage of off-peak tickets to nearby tourist attractions whilst other children are attending school. At the end of the day though children need nothing more than human interaction and exploration in nature to learn, which doesn’t cost a penny. Some may argue that I’m taking away the privilege of education from my son at an age when he does not have the choice. I know my son better than anyone else and I observe that he does not thrive in large groups and overly controlled environments, two main aspects of the schooling environment. For these reasons I have decided to let him make the decision as he grows older whether he wishes to try school or not. Like the Spartans and other ancient cultures, I believe that a young child below the age of seven needs to be close to their primary care givers and allowed the freedom to just play, discover and explore, letting their imaginations run wild and free.